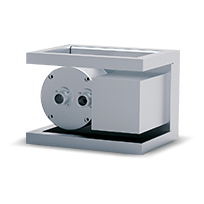 Quattroflow™ Fluid Systems, part of Pump Solutions Group (PSG®), is a leading manufacturer of quaternary (4-piston) diaphragm pumps for sterile fluid transfer applications in the pharmaceutical manufacturing and biotech industries. 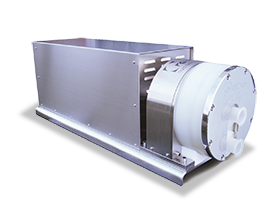 Compared to peristaltic pumps, Quattroflow quaternary diaphragm pumps provide superior transfer of critical biological fluids. Inspired by the human heart, Quattroflow’s quaternary diaphragm pumps deliver low-shear, low-slip and low-pulsation performance that gently transfers the delicate biological media used in pharmaceutical and biopharmaceutical applications. 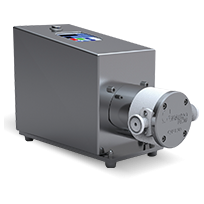 Featuring a unique seal-less design, Quattroflow’s stainless steel quaternary diaphragm pumps are self-priming and CIP and SIP capable. 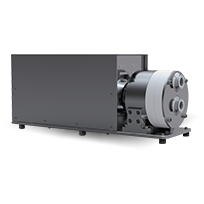 Single-use positive displacement pump technology reduces maintenance costs, improves purification yields of filtration systems and optimizes speed to market. 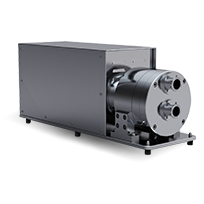 From tangential flow filtration (TFF), chromatography and centrifuge-feed applications, to virus filtration and inline dilution, Quattroflow positive displacement pumps deliver sterile fluid transfer that is efficient, consistent and, most importantly, gentle enough for delicate media. 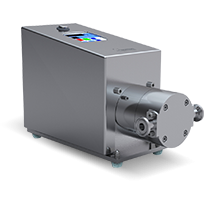 Quattroflow’s stainless steel multi-use quaternary diaphragm pumps contain no mechanical shaft seal or wetted rotating parts, which enables total product containment and eliminates the possibility of contamination caused by particle generation. 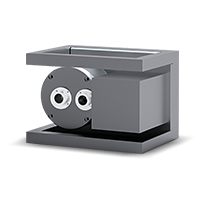 Quattroflow’s self-priming positive displacement pumps are CIP and SIP-capable, as well as autoclavable, which promotes sterile fluid transfer in pharmaceutical and biotech applications. 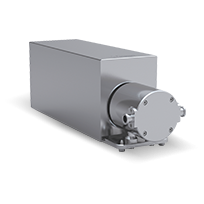 An extended turn-down ratio for a wider range of flow rates than the standard QF4400 (from 50–5,000 lph / 13–1,321 gph). 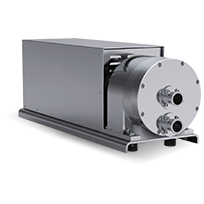 A more compact design and smaller footprint by integrating the pump chamber, pump drive, motor and control box into one unit. 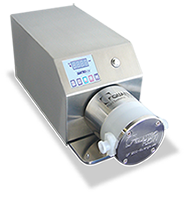 Quattroflow’s single-use quaternary diaphragm pumps feature a fully disposable polypropylene pump chamber that provides highly efficient sterile fluid transfer. With the assistance of just one tool, a new single-use pump chamber can be installed in less than one minute. 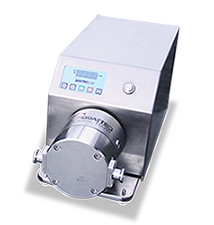 This efficiency not only eliminates cleaning validation and cross contamination in pharmaceutical and biotech applications, it increases speed to market. 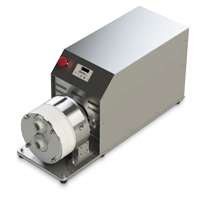 Contact a Sales Representative Today to Learn How Quattroflow Pumps Can Streamline Your Application!